I will be the first person to tell you, I hate garage sales. Not going to them, sometimes you find fun things, but the actual setting up and having a garage sale. Every time I have had a garage sale, it has been a total nightmare, with us getting rid of some things and feeling exhausted afterwards. While it is a great way to get rid of unwanted stuff, it is also stressful for a packrat like me. When I get rid of stuff, it is usually in little batches. This is why I have always loved selling stuff online. It saves me valuable time and allows me to still make some money. The problem, however, is that I have never been a fan of Craigslist. It just always seem junky, and let's be frank, it has a bad reputation. Recently, I learned of a new, family friendly alternative – Bookoo. Are you someone who loves to go to garage sales but don't have the time? If so, Bookoo is likely the place for you! Unlike some other 'sell-your-stuff' sites, you sign up for Bookoo under your closest major cities page. From there, you can browse through multiple categories, ranging from antiques to lightly used cars. The theory behind Bookoo is that you can find whatever you are looking for within your local area, allowing you to save not only shipping costs, but time as well, by seeing what is available in your area. Since the site is designed with both buyers and sellers in mind, the whole selling experience is designed to be easy and painless. If you are someone who loves more traditional yard sales, you can even find local sales in your area, allowing you to better plan your weekend adventure! Before I go any further, I want to be honest about one thing – Bookoo is very new. It isn't as well established as Craigslist or Ebay. This means that some of the topics, such as the what is Bookoo, are still under construction. At the Cincinnati Bookoo, some of the categories were also barren, while others were pretty busy. Since it is still fairly new, however, you can easily go through items and find some very interesting deals. For example, I found a 2003 Mustang with under 8,000 miles, mint condition, for $8,000. There were other great deals in the car section, which was nice to see! Other sections seemed more like a yard sale online. I fund toys that were in mint condition fairly cheap, as well as electronics that were slightly used. Overall, it seemed to me to be the place to sell things if you are someone who truly cares about your stuff and hopes it goes to a great owner. While some things may seem pricy at first glance, it doesn't seem that bad when you take into account the condition of the items in questions. For someone like me who hates to have yard sales but loves browsing at used stuff when I have the time, Bookoo seems pretty amazing! I have to say that while Bookoo is obviously new, it is very interesting. It's nice having things so organized when looking for fun items. It really seems designed with all users in mind, allowing to find what you need fast. While I didn't have the opportunity to sell anything myself on Bookoo, I am planning on getting rid of some extra things in our house. After having an apartment and house for two years, we have some duplicate things that we could probably easily sell on their site. Based on my own experience with the site, I would give it an A- rating. While some of their categories are still barren and the site has a few bugs, I think it has the potential to be something big! 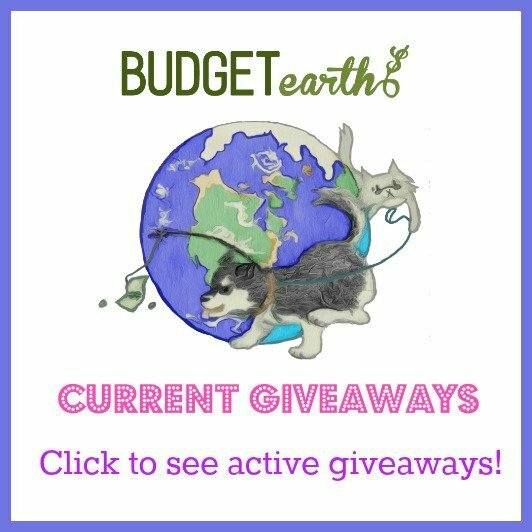 Disclosure: Budget Earth did not receive compensation for this review but did receive free premium membership to Bookoo for review purposes via Tomoson.com. All opinions on this product are my own and may differ from our readers' opinions. sounds like a neat site. I have several things I need to sell and have been searching for the best place to do it. yourreview was very helpful and I will def check bookoo out! I love the idea of online yard sales. I have been using this service for years. I think the only thing that drives me crazy is the one day I actually have time to look at things or look for yardsales (Sunday) the site is down. I used Bookoo all the time when we were stationed on Camp Pendleton! The site has greatly improved and is more user-friendly. We aheva local online yars sale, and its great! This looks like a huge resource, great idea. I love going to garage sales, but Bookoo sounds like it could come in handy. Hope it lasts! This does look interesting – much like something my step-daughter in Toronto uses called Kijiji. I love yard sales! We have Facebook yard sales that I'm addicted to! I will have to check it out. I love finding these up and coming sites to sell my stuff, they're like hidden gems! Bookoo sounds very interesting. I went to their site & found one in my area. I didn't find anything I was interested in, but it helped to see how this batch of items was priced. What a great idea! How fun. I don't like he hassles of garage sales, but it would be great o hop from the convenience of your home. Will have to check it out. Oh wow, this is a total game changer! I never have time to go to yard sales and always miss out on the good stuff! I recently lost my job and am trying to sell some things online to make some money – I will have to give Bookoo a try. Sadly non around me 🙁 I would have loved to check it out. Hopefully it will be here soon. Craislist is creepy! I agree! I avoid Craigslist because of all the scary stories. Did you apply to have one in your area? How neat! I have never heard of something like this! I often times put off doing a yard sale/garage sale because #1, I have a child under 5 and it's so hot here in Florida! I will look into this online yard sale instead, thanks! In the Carolinas we have some sites like that. I use "One man's junk" and it's pretty cool stuff. For those who are tied to home for whatever reason this would be the ideal solution. I like the idea of an online yard sale and find that it is so much easier than going out and wasting gas looking for yard sales and a lot more easier than having a yard sale at home. Less work and lots more fun. What a great idea. I don't like driving around going to garage sales I like being able to shop from the convenience of your home and be able to look for something specific that I'm looking for. Will have to keep an eye on this. Love the idea of it. It's amazing the things we do to not pay shipping, and this sounds like a win/win for buyer and seller. Not only do I not like going to garage sales, I don't like having one either. I'm sure lots of people feel the same way. This sounds likea GREAT idea!!! Sounds like a great idea if they can get enough traffic to the site. I hope it is successful cuz more opportunities to recycle your still-useful items is a benefit to all. This is a great idea and I'll be trying it tomorrow, the site said for Las Cruces it is closed today. Thanks for the review, I have not hear about this site and now will try it out. I'm going to look into this site, sounds like a try ! I have nver heard of Bookoo before. I will be checking them out as I had a rummage sale last weekend. It wasn't a disaster but it was a lot of work trying to have a rummage sale when it decides to rain off and on. Thank you for sharing this so that others can take advantage of it. They are in my general area – well, the other side of the state! – but I asked that they start one around me. Fingers crossed! I'm totally out of the loop! What a cool idea, first I've ever heard of an online yard sale. Looking forward to learning more. Great post! Wow I can't believe I haven't heard of this site before, this sounds great! I love this idea and am always looking for places to sell stuff! I have some items that I would like to sell but I agree with the garage sale being too much work. I am going to check this out and see what they have for my area. Thanks!